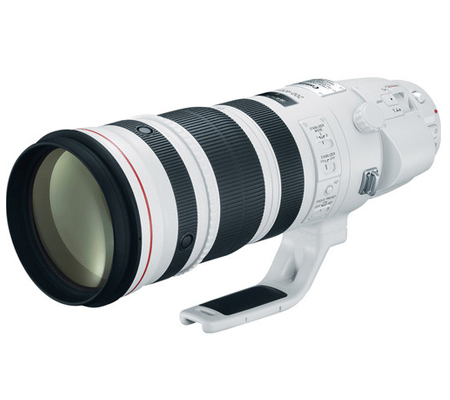 A long-reaching zoom characterized by its versatility, the EF 200-400mm f/4L IS USM Extender 1.4x from Canon is a medium to super-telephoto distinguished by its unique optical design and fast performance. Featuring a built-in 1.4x extender, you can quickly and intuitively switch between the native 200-400mm f/4 setting and an effective 280-560mm f/5.6 for greater reach. Benefitting this unique design is a sophisticated optical layout, which includes one fluorite element and four ultra-low dispersion elements to control chromatic aberrations and color fringing for increased clarity. A Super Spectra coating has also been applied to individual elements to reduce lens flare and ghosting for greater color accuracy and contrast when working in bright or backlit conditions. Beyond the optical attributes, this 200-400mm f/4 is also characterized by its advanced four stop-effective Image Stabilizer system, which has three separate stabilization modes to suit various shooting applications. 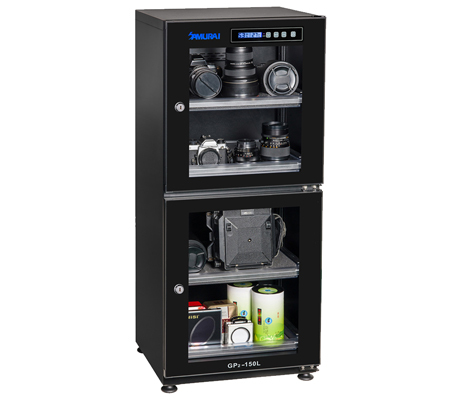 Also complementing handling is a sophisticated ring-type USM, which provides quick, quiet, and accurate autofocus performance along with full-time manual focus override. 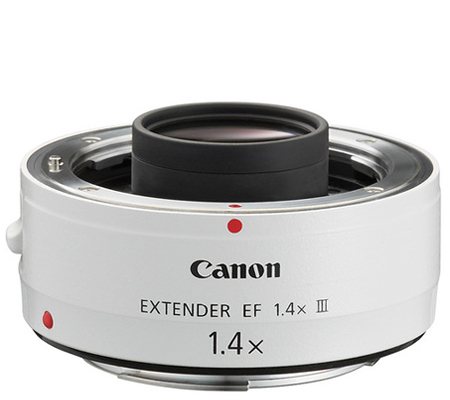 Additionally, this lens is weather-sealed for use in trying environmental conditions and it has a removable rotating tripod collar to benefit working atop a tripod or monopod. 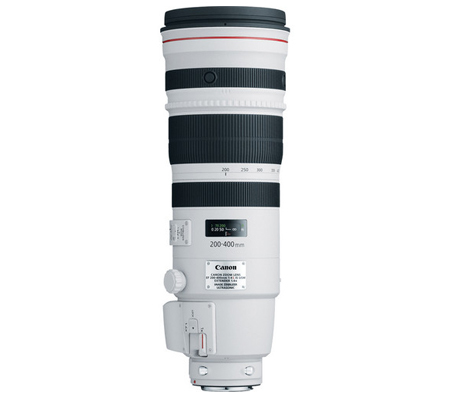 Super telephoto zoom is designed for full-frame Canon EF-mount DSLRs, however can also be used with APS-C models where it provides a 320-640mm equivalent focal length. 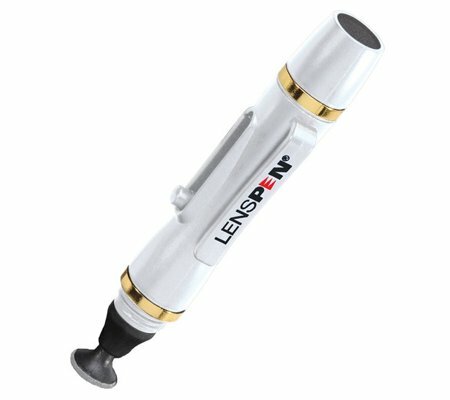 Built-in 1.4x extender allows you to instantly extend your reach to 280-560mm (or 448-896mm equivalent with APS-C cameras) simply by flipping the left-hand switch. 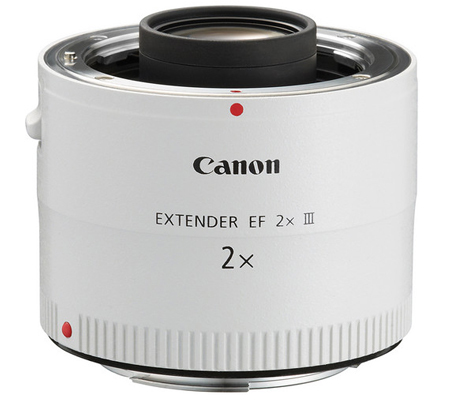 Since the extender is integrated within the lens housing, it is optically matched to the lens for improved imaging performance and also fully maintains the lens's weather sealing. 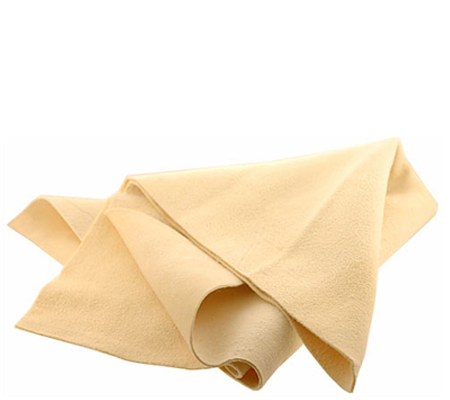 One fluorite element and four ultra-low dispersion elements are used to greatly reduce color fringing and chromatic aberrations in order to achieve greater clarity and color accuracy. Focus Limiter switch lets you constrain the focusing to different ranges for faster performance to suit different applications. Box Dimensions (LxWxH) 27.0 x 16.0 x 14.5"